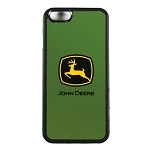 Rugged, protective case for demanding conditions, heavy use and random accidents. This is the case you need if you want to be careless, work in harsh conditions, are tough on technology, anticipate heavy use or are just plain clumsy. Enjoy your adventures, whatever they may be without worry of damaging your smartphone along the way. This case is practically indestructible. Q: Does this come for the 6? A: No this does not come for the Iphone 6 at this time. Was this answer helpful? 7 of 13 Customer(s) found this Answer helpful. 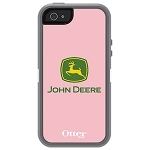 Q: Does the otter box defender come in pink john deere for an s4? A: Unfortunately we only have a pink case for the iPhone 5 and not the S4.